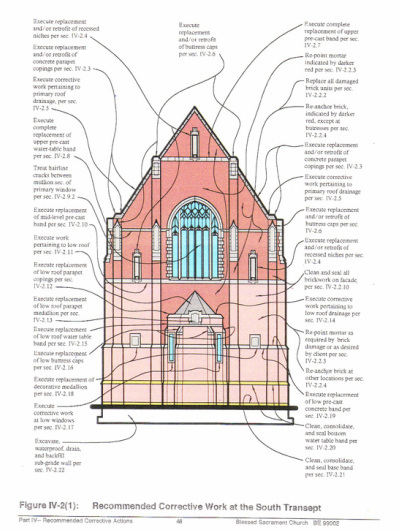 PL:BECS reports typically begin with a section of observations, which documents all observed problems with photographs, and locates these on appropriate drawings of the building. 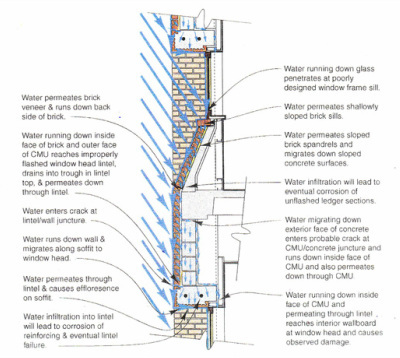 PL:BECS reports include illustrations to help explain problems affecting a building. PL:BECS reports include detailed illustrations to explain specific recommended corrective actions. PL:BECS uses instruments to detect concealed leakage and fungal decay in buildings for prospective buyers. PL:BECS provides technical evaluations of selective portions of buildings as well as of entire exterior enclosures, on projects ranging from medical center facilities worth tens or hundreds of millions of dollars down to residential-scale work. Frequently, PL:BECS evaluates major facilities whose owners are aware of spotty indications of problems, such as leakage or cracking of claddings, but can not accurately determine sources of such problems, nor the extent to which these may be concealed, and do not know how to solve them. PL:BECS prepares a spectrum of report types, including brief summary letters following a single inspection visit with no destructive testing; limited-scope reports which may summarize 1-3 inspections with probe readings and destructive testing; as well as full-scale reports, which may summarize extensive site evaluations with 6 or more inspection visits, lab testing of materials, numerous wall openings, structural evaluations, and similar methods. 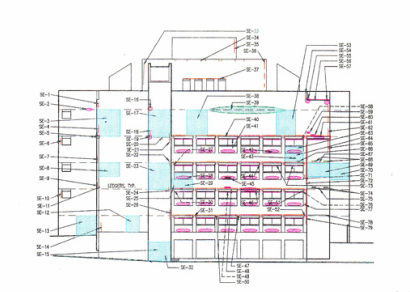 PL:BECS reports frequently include exterior elevations and floor plans where observed problems are mapped-out, which can often reveal otherwise obscure failure patterns. When appropriate, such reports may include similar maps indicating expected locations, extents, and severities of probable concealed degradation. The Analysis portion then describes the likely sources of such problems, and provides a projection of probable effects on the building’s integrity if such flaws are allowed to persist. Illustrations are integrated when helpful in describing probable failure modes. The reports include a Recommendations section, which provides detailed guidance for corrective actions. This may present various optional approaches, along with descriptions of relative advantages, draw-backs, and costs of these approaches. PL:BECS also provides pre-purchase inspections of institutional, commercial, as well as residential buildings for prospective buyers. Such inspections frequently uncover major concealed problems, whose costs can be hundreds of thousands of dollars, frequently millions, which went undetected by other inspection agencies. PL:BECS prepares thoroughly-documented reports which can forewarn of concealed flaws, allowing the prospective purchaser to either re-consider the purchase, or to at least take the probable corrective costs into account when negotiating a purchase price.